It probably started in, what you would call, sixth grade. I had been asked to write an assignment on “whatever I wanted”. I choose soccer in the US. These were the latter years of the NASL. New York Cosmos, Tampa Bay Rowdies, LA Aztecs, Minnesota Kicks and Philadelphia Fury. Then there were the stars like Pele, Cruyff, Beckenbauer and Best. Information was sparse but I cribbed enough from a couple of magazines to achieve the pass mark with something to spare. It seemed a world away from the drab environment of English football in the early 80s. Remember the key agents of progress - the formation of the Premier League, Italia 90, Euro 96 – were more than a decade away. I continued bashing out assignments through college then turned them into a job by writing for local and national newspapers in England then pivoted into running the content at Arsenal for more than a decade. 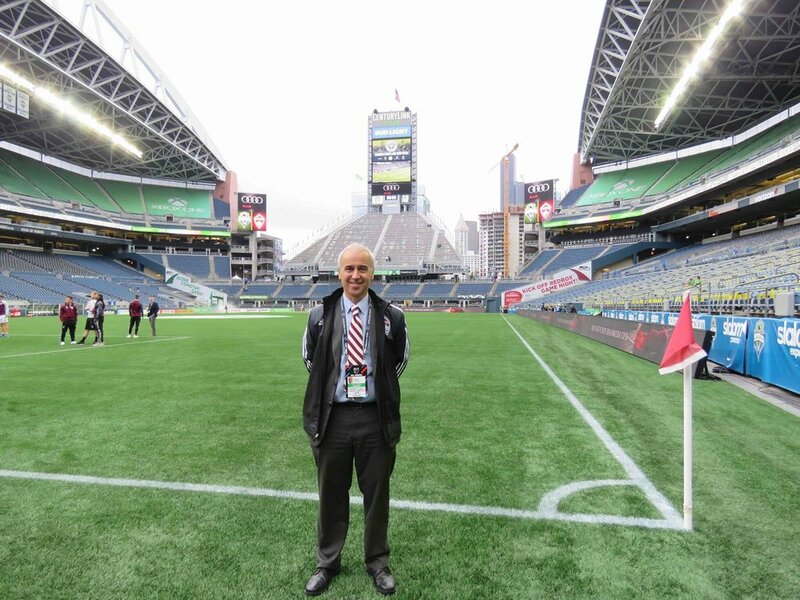 However, on visits to the US, I regularly checked in with the Rapids. EPL football was now a juggernaut but MLS was cool, different and new. Taking a job as Senior Director of Communications and Digital Media in January 2015 was a risk – personally and professionally. But, like many of us in the UK, America was a life-long fascination and a latter-day ambition. Major League Soccer was football but not as I knew it. Supporters in the US are different to the UK. The “tribalism” of the English game helps create an ultra-passionate spectacle but it does not always make for pleasant bar conversations with supporters. 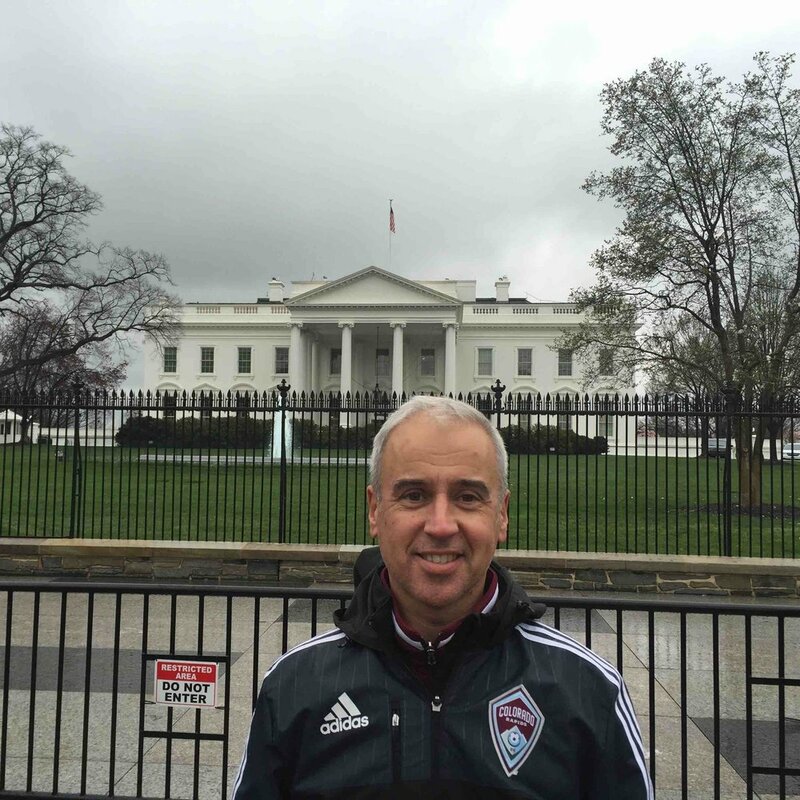 However in my two years, the Rapids’ fans were - without exception - welcoming, respectful and knowledgeable. Remember, my first games were in the midst of the team’s record-breaking winless run. Their ability to see progress in the performance, if not the results, was admirable. And that is the thing about US Soccer fans, and Rapids fans in particular. They are a cause as much as a club. A gang of like-minded individuals who are almost counter-cultural and looking to grow something for the love of the sport not just the love of their own interests. Soccer in Europe is too mature for that and everyone’s utter entrenchment can be infuriating sometimes. That is one reason it was so gratifying to see the Rapids’ turnaround in 2016. The supporters had had little to shout about for a few years but, at last, they had a team of which to be proud. Now fans are fans, so blogs and social media are full of knee-jerk reaction. That is what they are for. No team takes defeat well, anywhere, criticism is part of working in sports. However, as a former soccer fanzine writer, I’d love to see the Rapids with more supporter-driven content in the future. I read the vast majority of articles on View from the Couch, Burgundy Wave and on C38’s site during my time in Colorado. It was heartening to see the last of these develop in many facets during 2016. The podcast at the tailgate, the incredible tifos, the electric atmosphere created by the move to the South Stand – these were all big ticks in my opinion. Travelling in the EPL can be a drudge because of boring annoyances like road quality, parking and the lack of space you have in England. But following Rapids away from home is akin to a Champions League game every other week. It is not necessarily harder but it is certainly a huge commitment of time and money. You have to respect fans who do that and there were more Rapids fans on the road in 2016. Pablo’s instinctive heart-thumping reaction to being asked to clap the gang of travelling supporters after the 5-1 hammering at New York City was illuminating. It was a body blow of a result but his response to a pocket of burgundy in the rafters of Yankee Stadium was an indication of a real kinship between the fans and the team, something the EPL is struggling to retain right now. The C38 tailgates were telling too; visibly bigger in attendance, atmosphere and positivity last year. Meanwhile, the Playoff victory over LA Galaxy will remain a highlight for the emotion and involvement of the supporters as much as Gashi’s goal or Howard’s save. If you want a yardstick, it felt like old-style FA Cup tie in noise, crowd, anticipation and emotion. And that is high praise. With games like that still fresh in the memory, it was painful to leave as only a fraction of the club’s potential has been fulfilled. However I truly believe I witnessed a step-change in my two years at the Rapids. The young front office staff are enthusiastic, the decision-makers are soccer-savvy while the team now have quality to add to their determination and organisation. Players will come and go while success will ebb and flow, however the right infrastructure will make you contenders year-in, year-out. That is present on the pitch and in the club offices. If they can utilize and develop the confidence imbued in 2016 then Rapids can be in final stages of the Playoff bracket more off than not. So, as I sit writing this in London with my C38 hat on**, I feel there is an unparalleled opportunity in the history of the Rapids. And, unshackled by club employee status, I can say it. Come together and build for the future in 2017. The club will start the campaign with more season tickets holders than they ended 2016. It will be a record number. I won’t bore you with commercial metrics but they are up. Meanwhile the team will be pretty similar, barring a couple of exceptions. It has taken a number of seasons to become an overnight success in 2016. The front office and technical team can take credit for that. They have been patiently placing pieces in the jigsaw for sometime now and, as with every puzzle, the overall picture is not always properly visible. It has not been a perfect plan, sports will never allow that, and we took a heap of criticism over the last few years. A lot of it was fair, some was not. A lot of it informed, some of it not. The one cast-iron fact is that no response is truly acceptable while team performance is poor. Of course, even when the team improved, it seems that praise was grudging from the wider media. That is annoying but, then again, it does not really matter and I commend the Rapids fans who turned it into a positive. And, hopefully, that is the result of 2016. Colorado Rapids did not win a trophy last year but perhaps they galvanized their identity. Fans now have a slogan, a hashtag, a few more songs and stack of positive memories. Hopefully, the club's digital and social content give it a new type of narrative too. This culture should keep the flames of fandom alight during any tough times to come. Of course, success brings standards along with it. Rapids fans will expect more of the same in 2017 and why not? But, then again, it is far easier to destroy than construct, more straightforward to splinter than to stay united. Many English people cast envious eyes on my role over the last two years and asked me how I managed to make it into MLS**. The chance to truly, properly build a club is almost impossible in Europe. You can only nudge the needle a little here or there. We all changed this club in 2016, all of us together, and thank you Colorado Rapids for letting me play a small part. But now it is the time to kick-on and built on the firmest of foundations. * This is not a metaphor. I have a “We Are C38” beanie on, right now. Thanks, Dave.